[XPB-SR32-ABL] Commercial Outdoor 32 Gallon Receptacle with Ash Bonnet Lid. 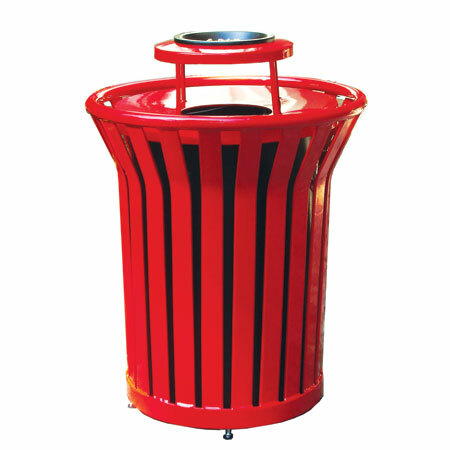 Waste and Ash receptacle is constructed of heavy duty welded steel and features pre-drilled mounting holdes. Coated in a Termoplastic durable weather resistant finish Ash Bonnet receptacle also includes liner and leveler mounts. Waste receptacle is available in 16 color choices (see Color Selects). *Optional Lid and Liner sold separately. For shipping quotes, discount pricing, orders or questions please call our Customer Service Center at 1-877-483-9270.